Sacramento Valley Section is located in the ARRL Pacific Division. Thanks to Greg Kruckewitt KG6SJT for maintaining our Section ARES web page and for assisting with our Facebook page and Twitter feed. Thanks to Les Cobb W6TEE for maintaining the Section Net list. Amateur Radio Licenses in the United States are granted by the Federal Communications Commission after passing an exam at a Volunteer Exam (VE) session. The Sacramento Sheriff's Amateur Radio Program will offer the following at the Sacramento Sheriff's Central Division, 7000 65th Street, Sacramento, CA 95823. Class duration is from 6-9 pm. The Lassen Disaster Coalition is sponsoring a study group for the Technician license exam that will begin February 2 at 11:00 AM to Noon and will continue each Thursday for six weeks culminating in an exam on March 16 administered at Lassen Public Health, 1441B Paul Bunyan Road, Susanville, CA. The study group and exam are open to the public. If interested please email Kelley KS6Z at ks6zulu@gmail.com for more information. Section member Joe Cardoza, KA6ROM, announces that his Citrus Heights VE Team will conduct their amateur radio Ham-Cram Technician License training and examinations on the fourth Saturday (except third Saturday in January) every other month at starting at 8:45 am at the LDS Church, at 7950 Hazel Ave, Orangevale, CA. This is the intersection of Hazel and Cherry Ave. The Samuel F Morse ARC would like to announce that we will once again be running our CW beginners course. This course will be 10 weeks long held once a week for 2 hours (7PM - 9PM) each Wednesday evening in Carmichael. If you or someone you know are interested in taking our CW class we encourage you to sign up NOW. This class is made available to EVERYONE that wants to take it. You do NOT need to be a licensed operator to join our class. We have locked a date of April 5th - June 7th. In an effort to give everyone personalized attention, seating will be very limited and on a first come first serve basis. We would urge you to notify your members as soon as possible so they don't miss out. Everyone can benefit from this course! For those with no Morse Code knowledge this is an excellent course where you or your friends will be taught the complete International Morse Code alphabet, numbers, pro-signs, how to adjust and send on a Morse Code straight key and more interesting general information than one brain can store! The goal of our course is to have all students up to speed around week 6, and on the air! This is also a great opportunity for those of you who may have already taken our course before. This class offers a chance for returning students to brush up on their code, increase their speed, build on-air confidence and get a better understanding of the 'pro-signs' that CW radio ops use on-air. The CW class is $40 for new students. New students will all receive a FREE Morse Code straight key and a Code Oscillator to keep at the completion of the course. These items are worth more than $40 by themselves. Returning students pay only $20 and should bring their previously supplied Morse Key and Oscillator. If you or your friends are interested in signing up or have questions regarding this course, please be sure to send an email to admin@w6sfm.com. Thank you and we hope to see you at our next class! Folsom ARRL VEC exams are held at 6 pm the third Thursday of each month except July, August and December. All exams start at 6:00 pm. For information see http://ns6q.net/exams or contact Mike Kirkland, NS6Q at radio.ns6q@gmail.com. Our exam sessions are now being held at the Shasta County Office of Emergency Services at 2486 Progress Drive in Redding. Exams start at 10:00 AM and candidates are encouraged to pre-register. Testing begins at 10:00 AM. Candidates should arrive 15 to 30 minutes early. We accept walk ins. LATEST NEWS: On Monday January 23, 2017 the US House of Representatives suspended their rules and passed the Amateur Radio Parity Act of 2917 by unanimous consent. This action now sends the bill to the US Senate for its consideration. Read more here. 47 CFR §97.313 (f) No station may transmit with a transmitter power exceeding 50 W PEP on the UHF 70 cm band from an area specified in footnote US270 to §2.106 of part 2. The indicated affected areas are specified in http://www.arrl.org/us270, in the State of California within a 240-kilometer (150 mile) radius around locations at Beale Air Force Base, California (latitude 39°08' North, longitude 121°26' West). The Amateur Radio Service shares the 70 cm band on a secondary basis with the US Government which has priority. The US Department of Defense routinely monitors and locates signal sources on these frequencies. Our voluntary cooperation is mandatory to avoid interference with the Pave PAWS (Phased Array Warning System) radar at Beale AFB and thus to assure our continued access to these frequencies. Here are the latest news from our section clubs and members. This month's news features news and happening from clubs and members around our section. Bravo to all our volunteers who responded to the Oroville Dam crisis and other incidents occasioned by our February severe storms. Covered by the national and world media, these events showcased the emergency response readiness and capability of amateur radio and ARES. A Section-wide net is scheduled for Thursday, March 16. 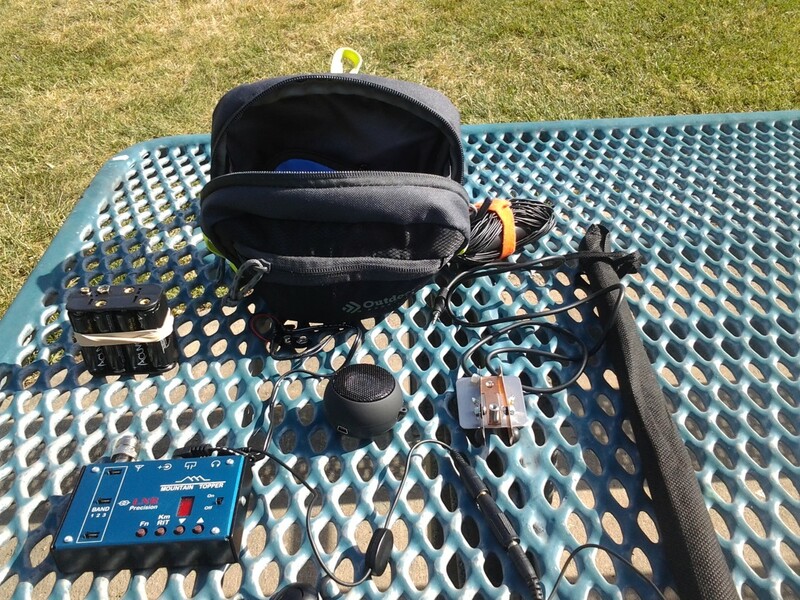 The net will commence after the Yuba-Sutter ARES net closes about 7:30 pm Pacific Time on the WD6AXM 146.085 MHz FM repeater, immediately followed by an HF net on 5330.5 kHz USB. We will issue an Official Bulletin reminder prior to the net. Affiliated club leaders should check that their contact information on the ARRL National website is up to date. Clubs must update their club record at least once per year even if nothing changes. Should two years pass without an update your club will be listed as inactive. Just go to: http://www.arrl.org/club-update and follow the instructions. We are currently recruiting for a new Affiliated Club Coordinator for our section. Please contact me if you are interested in assisting in this capacity. Our website, Facebook and Twitter pages are a work in progress, and your suggestions and submissions are always welcome. This website is visited most during the first week of each month, but do check back as it is updated weekly with late breaking news. See you on Saturday March 18 at the Sierra Foothills ARC Hamfest at the Loomis Historic Train Depot! In the last two months since its posting, San Jose area radio amateur Jim Aspinwall, NO1PC's online grass roots petition to amend the ambiguous language in California's AB-1785 Distracted Driving Law has gathered over a thousand signatures in its support. In a news story aired recently on KOVR-TV CBS13 Sacramento, Norm Lucas, WB6RVR, explained that the Distracted Driving Law was designed to curb smartphone texting while driving which has been identified as a safety hazard. However, the ambiguous language in the law has also unintentionally rendered all commercial and amateur radio two-way mobile operation illegal in California. The original author of AB-1785, California Assemblyman Bill Quirk (Assembly District 20) has confirmed that the law was not intended to ban amateur radio mobile operation and has recently introduced AB 1222, the purpose of which is to amend this law. Negotiations are underway and continuing between all of the stakeholders regarding appropriate language to modify this law. In Ham Radio Now Episode 311, Gary Pearce KN4AQ and David Goldenberg WØDHG interview Norm Lucas and Jim Aspinwall for an in depth look at the drafting of the California AB-1785 Distracted Driving Law and how it came to negatively impact on commercial and amateur mobile two-way radio operation in California. They also describe the growing community effort to bring this problem to public attention and to lobby the California legislature for an amendment to this problematic law. Tom Medlin, W5KUB, also interviewed Jim Aspinwall about the effort to amend AB1785 on the March 21 episode of the W5KUB.com Amateur Radio Roundtable podcast. ARRL is recommending that Amateur Radio be specifically excluded from a California statute prohibiting the use of “wireless communication devices” while driving. ARRL Southwestern Division Vice Director Marty Woll, N6VI, is taking point on the effort to revise the statute, known by its legislative bill number AB 1785. It was signed into law last September, and it took effect on January 1, amending §23123.5 of the state’s Vehicle Code. Sacramento Valley ARES Section Emergency Coordinator Greg Kruckewitt, KG6SJT, reports that Amateur Radio Emergency Service (ARES®) volunteers are now actively involved in supporting communication for the evacuation and sheltering of nearly 200,000 people living below the damaged Oroville Dam in rural California. The dam, on the Feather River east of Oroville, is the tallest in the US. Following a period of heavy rain, a section of the earthfill-embankment dam’s spillway eroded, and authorities issued an evacuation order for residents living below the dam, in case it should fail. Crews have been attempting to fill the eroded area with rock transported by helicopter. Sacramento Valley ARES Section Emergency Coordinator Greg Kruckewitt, KG6SJT, reports that Amateur Radio Emergency Service (ARES®) volunteers are ready to assist in the evacuation and sheltering of upward of 200,000 people living below the damaged Oroville Dam in rural California. The dam, on the Feather River east of Oroville, is the tallest dam in the US. It impounds Lake Oroville, the second-largest man-made lake in California. Following a period of heavy rain, a section of the earthfill-embankment dam’s spillway eroded, and residents below the dam were considered in harm’s way should the dam fail. Butte County ARES EC Dale Anderson, KK6EVX, was called out by the emergency operations center (EOC) on the evening of February 12. Yuba/Sutter ARES EC Steve Sweetman, K6TAZ, opened and managed an Emergency Net via the WD6AXM 146.085 MHz repeater atop Sutter Buttes on February 12 to provide information and gather reports of road closures or problems during the evacuation. Just 10 days after being introduced, the 2017 Amateur Radio Parity Act legislation, H.R. 555, passed the U.S. House of Representatives this week on unanimous consent under a suspension of House rules. The bill’s language is identical to that of the 2015 measure, H.R. 1301, which won House approval late last summer after attracting 126 co-sponsors, but failed to clear the U.S. Senate last fall as the 114th Congress wound down. The new bill, again sponsored by Rep. Adam Kinzinger (R-IL), was introduced on January 13 with initial co-sponsorship by Rep. Joe Courtney (D-CT) and Rep. Greg Walden, W7EQI (R-OR), who chairs the influential House Committee on Energy and Commerce. “The grassroots effort of Amateur Radio operators across this nation in support of the Amateur Radio Parity Act has been remarkable, nothing like we have ever seen before,” ARRL President Rick Roderick, K5UR, said. “To all hams, keep going! Now is the time to charge forward with that same momentum to the Senate. We can do it!” The bill arrives in the U.S. Senate with ample time in which to garner its approval through an education campaign. Hope that everyone had a great year. NPOTA is about to end and there should be a few WAS application coming in. It was fun and I can’t wait to see what is next. I will be out and about in Northern California this coming year. We plan on stopping at some club meetings in Northern California and doing a few SOTA’s too. I will be able to do WAS, VUCC, WAC, and DXCC at the meetings and if possible at the SOTA locations too. For on the spot, in the field new DXCC applications you will need to have an on-line application fill out and printed. If you have an old fashion DXCC paper style application or over 100 QSL cards I may need to take them home to do. Contact me at wb6vyh@arrl.net for more information. If you are doing a LOTW application with QSL cards too and having problems contact me, I may be able to help. Any questions just email me. You need to contact me before I can do an application in the field. I will be at several ham swaps this year in NorCal and maybe Nevada including Pacificon 2017. If you can’t get to Sacramento to drop off your application contact me, I love road trips and we can meet somewhere. Duane Wyatt WA0MJD has been working on a project to expose children with health issues to amateur radio and morse code. He has developed Kid's Club units to accomplish this. Script and photos of Kid's Club are seen in the project website at kidsclubweb.wordpress.com. Child Life staff at St. Jude's Research Hospital for Children have gladly agreed to accept a Kid's Club donation. Do you have what it takes to be an ARRL "Official Observer?" Update October 12, 2016 - The ARRL and the FCC are currently working together to update and to make changes to the Official Observer/Amateur Auxiliary program. Because of these expected upcoming updates and changes, ARRL has placed a temporary hold on applications for new Official Observers and Official Observer Coordinators at this time. Read more here. I have been working for over a year to resolve an interference issue caused by a solar array a few houses down (daytime VHF noise level S9+ during the day). In the mean time I talked with Ms Chen at the FCC. I mentioned that solar array interference is a big issue for hams. She said that I was the only one she knew about. She asked me to spread the word and have hams with solar array interference issues to do the following. Email her with the specifics of your solar array interference issue. Be sure to include the complaint ticket number and why you believe the solar array is the source of the interference issue. For everybody with a solar array interference issue, the FCC is listening and wants to hear from you. I have experienced this interference for the past few years. I found the interference by swinging my 10m Yagi monobander around until the noise became over S9. I then went outside to see where the beam was physically pointed and discovered a garage where indoor pot is being grown. The lights are on a time cycle so the interference comes and goes. 40º degrees in either direction takes the noise out. Now that marijuana is being legalized in more states, more hams are going to experience this noise. Our decreasing solar activity and residential antenna restrictions have attracted increasing numbers of radio amateurs to operate CW and weak signal digital modes on our lower HF frequencies including 60 meters. The five frequency channels that US amateur radio operators share on a secondary basis with US federal government users on 60 meters (5 MHz) pose unique requirements for CW and digital operators. As explained on http://www.arrl.org/60m-channel-allocation, US radio amateur emissions on our 60m channels must be precisely centered in the center frequency of each assigned channel, that is, 5332.0, 5348.0, 5358.5, 5373.0 or 5405.0 kHz. Thus, for example, a CW signal on channel 3 (USB Dial frequency 5357.0 kHz) must be precisely on 5358.5 kHz. The same ARRL page explains that all digital emissions must also be centered in the channel center. This screenshot photo shows JT65 signals received on 60m Channel 3 (5357 kHz USB dial frequency) from 0300-0309 UTC on January 29, 2017. In the photo, the 5357 kHz dial frequency is at 0 Hz on the left side of the waterfall and the 5358.5 kHz channel center is at the 1500 Hz mark. Decodes of several US radio amateurs are seen transmitting JT65 emissions simultaneously on various frequencies throughout the channel 3 frequency range 5357-5360 kHz. This is the familiar appearance of a JT65 waterfall display on all other amateur radio bands; however, it does not meet the NTIA requirement that each US radio amateur transmission be centered on the 1500 Hz mark (the 5358.5 kHz channel center frequency). Richard Saunders, K6RBS, has posted the program settings for proper 60m JT65 operation here. The link http://wsprnet.org/olddb?band=60&sort=callsign&reverse=on&unique=on lists recent WSPR mode emissions on 60 meters. One can scroll down that list and see how many A, K, N and W call signs have been transmitting WSPR mode outside the authorized 60 meter center channel frequencies. Many US WSPR transmissions are now being observed on the WSPR software default 60m frequency of 5288 kHz, a completely unauthorized frequency for US radio amateurs. Each licensee has the final responsibility for the lawful operation of his or her station. Unfortunately, the increasing automation in our radios has apparently accustomed some to falsely assume that the radio will correct for operator carelessness and ignorance of regulations. Our cooperation with NTIA requirements is essential for our continued access to the 60m channels and for possible future access to the new ITU worldwide 60 meter allocation at 5351.5 to 5366.5 kHz. (See http://www.arrl.org/news/view/arrl-asks-fcc-to-allocate-new-5-mhz-band-retain-channels-and-current-power-limit and http://www.arrl.org/news/fcc-invites-comments-on-arrl-petition-to-allocate-new-5-mhz-band). Please be aware of these requirements if you intend to or currently operate CW or digital modes on our shared 60m allocations. The Amateur Auxiliary is documenting this matter and hopes to raise its awareness in the wider amateur radio community. *The NTIA is the federal authority that coordinates radio spectrum use for the US military and federal government while the FCC serves in this capacity for civilian radio spectrum users. An interesting turn of events up in Plumas County 21-22 February 2017. A notice went out over the Reverse 911 System (Code Red) up here, indicating that a county-wide communications "blackout" would occur sometime after 1300 hours on the 21st. By 2100 hours, cellphone service, land-line service and internet service were down. The Plumas Amateur Radio Club (PARC) and Plumas County ARES were on the air, as it has been since the forecast "atmospheric rivers" became a reality. We have been monitoring our Mt. Hough repeater, 145.470, our local Simplex frequency of 146.550, 146.52 and W7OWC's UHF machine on 444.700. Once regular comms failed, PARC and ARES stood ready to answer the call. We were in contact with 2 of our 3 hospitals and ready to deploy to the third if called upon. In all, around 15 operators monitored those frequencies 24 hours a day. Interestingly, we were not contacted directly by our County OES Director or his Deputy, though we were contacted by Lori Pini, the Public Health/OES coordinator, requesting the number of operators available and our operational status. I am grateful to all our supporting operators for standing-by and monitoring the radios during this event. Though all of our EmComm was between stations and the hospitals (we carried no emergency traffic), we were willing and prepared to respond. Infrastructure communications were restored later in the day on 22 February, and we are still on the air, monitoring. The next Sacramento County ARES training and meeting is scheduled for Saturday March 11, 2017 from 9:00 am to 12:00 noon at the Sacramento Sheriff's Central Division, 7000 65th Street, Sacramento, CA 95823. Vince Cracchiolo KI6NHP is the Sacramento County EC. Just a reminder that we are having a ARES face to face meeting this Saturday March 25 at 9:00 to 10:30 in the Auburn Veterans Hall. The topic of the meeting will be a show and tell of "Go Kits", so please bring you "Go Kit" and be prepared to talk about what you put in your kit and why. Also Sundays net topic will be a follow up to the Saturday meeting, so if you have further comments/questions about the "Go Kits" please have them for the net. On Saturday, February 18, Janet Fisher, KK6RXO, of Chico was among the Ladies of the Net Radio Club members who activated the amateur radio station aboard the historic USS Hornet, 707 W Hornet Ave, Pier 3, Alameda, California 94501 beginning at 1900-2400 UTC (11:00 am - 4:00 pm Pacific Time). The special event operation, announced on Amateur Radio Newsline and on Ham Nation Netcast #287, was conducted on 40 and 20 meter phone, and on 17 meter CW and phone using Harris RF350K transceivers running 100 watts. The 40 meter antenna was a fan dipole, and vertical whip antennas on the aircraft carrier's superstructure and flight deck were used on 20 and 17 meters. Contacts were made with other radio amateurs throughout North and South America, Asia and the Pacific. Those who communicated with this special event may request a QSL card by sending a self addressed stamped envelope with their contact log information via the KM6CIR QRZ address. The Ladies of the Net conduct an all YL net on 7245 kHz LSB weekday mornings at 10 am Pacific Time. The World War II ship, which was decommissioned in 1970, has been a public museum since 1998 and it became home to the US Hornet Amateur Radio Club in 2002. It does not seem possible but we are already in the third month of the year and time is screaming by. Oh boy is it! My calendar says that we will be jumping our time pieces ahead one hour on the 12th of this month. It is good that this will happen after our next membership meeting at the Artois Lutheran Fellowship Hall which is on the 9th of this month. The meeting will commence at 6:30 pm. Since I'm unable to attend, Joel Wilson, KJ6DIF, will be running the meeting in my stead. Joel will entice discussions pertaining to the communications component of the Disaster Response Trailer. So please bring, and wear, your creative hats to help in making decisions on the communications package, and what it should look and work like. By the date of the membership meeting the DRT will be 65 percent complete and will have the basic electrical system installed. So there will be lights to work by and the microwave and refrigerator will be on line. Much has happened since the club started the DRT build on 10 December 2016. Just this past week a to-do list has been started for those tasks that need to be completed by the time the ARRL Field Day rolls around. Club members will be able to activate the DRT for this event, marking its first official use; envision a shake down cruise if it were a boat. Also please bring your ideas on ways to grow the club membership and what direction you would like the club to work toward. Simple projects to collectively work on, etc. Do you know someone that would like to be involved? Bring them along to the meeting and show them what Amateur Radio is all about. One does not need to be a licensed Amateur Radio operator to be a member of our club. The next general meeting will be 7 March at the CalTrans building at 7 p.m. The meeting will be a Tech night with demonstrations on attaching power poles, help programming radios and possibly attaching (soldering) PL-259s to coax cables. Greetings fellow amateurs!! I'm going to assume that, at this time, everyone has returned after the adventure of "The Big Evacuation". Don't know about the rest of you but even though my wife and I have returned to our house and relative normalcy some of our possessions and more important paperwork and mementos are still ensconced at my mother-in-law's house in Fairfield for at least the next couple of months. I want it to be really dry before I bring those things back. If for some odd reason we have to bug out again I don't want to worry about whether or not we left something important behind. I will say that this situation gave me a real good idea of the utility of having a ham rig (or two or three) with me to keep up to date on different aspects of this emergency. Once I found out that something was going on I grabbed one of my HTs and tuned into the club repeater so I could listen to whatever chatter was going on while we were prepping to leave. And when we finally finished our prep and left the house we already had a good idea what kind of traffic we were going to find so we could make a decision about the best way for us to get out of town. I felt much more in control in being able to monitor the traffic to and from K6TAZ/Steve as ARES Net Control (thanks for your dedication Steve) and hope that my being able to relay information back on road conditions as we encountered them was helpful to others. Steve wasn't the only one helping to keep us informed. He had some assistance from Yolo County ARES and Sacramento County OES that I know of and from others as well. Sorry I can't identify them by call sign but thanks for your efforts. Of course once we got past Vacaville the Coast Range Mountains blocked the signal but the radio communications we did have up till then was invaluable. I also learned the worth of having a good backup rig handy when necessary. Shortly before this event my primary mobile rig quit transmitting and I hadn't yet dealt with getting it repaired. So instead I grabbed my Motorola MaxTrac radio from my desk and set it up in my truck for mobile ops. The MaxTrac is not very flexible, It's not easy to program if you want to make changes. But it was here when I needed it and reliable. It might not be a bad idea for to invest a little money in a similar rig if given have the chance. There are club members who know how to work with them. Since "The Big Evacuation" has been a significant part of our lives lately I though we could benefit one another by having a round table at the next club meeting in March centered on our experiences. Lessons learned, prep tips for a future event, how being able to communicate was a benefit, radio etiquette during an emergency situation. Where did you go and what did you do? What would you do again, what would you avoid? Curtis has already given me some good ideas that are worth passing on. I'm sure we all have something worthwhile to share. I have not been able to line up a presentation for the March club meeting but I thought it would be a good occasion for a "Tech' night. Time for those of us with some practical experience with routine ham tasks to share with others who might not yet have the experience. N6BOB is going to give a short "how to" on attaching power poles to equipment. I will have my laptop and a few programming cables available to program HTs for those that want it. I'd like to see someone with experience attaching PL-259 connectors to coax assist those who might need instruction or assistance. If anyone else has other ideas on what we can do please let me know. And I'm still recruiting presenters for future club meetings. Are you involved in an aspect of the hobby that others might want to know about? Please consider sharing your experiences with others. I'm still hopeful that we can have an antenna workshop sometime later this year, probably on a Saturday when it gets warmer and drier. I have yet another plea for a coordinator for 2017 Field Day. We already have a location available to us and I'm assuming that's half the battle. I'd be disappointed if another year passed us by without participating in this event. It's a great opportunity to share the broader experience of ham radio to those that are just getting their foot in the door. And to introduce the hobby to those unfamiliar with it. If you would consider it at all, even if you think you might need some assistance from an old hand please let us know. If you're an old hand that would be willing to assist someone with no prior experience please let us know. Till next time, 73s to you all and I'll be listening for you on the airwaves. What a month our area has seen this past month. A big thank you to our Butte County ARES Emergency Coordinator Dale Anderson, KK6EVX and others who gave of their time and talents during the Oroville Dam evacuation incident. There was a shortage of operators, so this is an opportunity to ask for members of our club to step up and contact Dale to be ARES members. This incident was a prime example of how quickly things can change and the need can arise for quick response to provide communications. As we know we are a very unique and exclusive group in that through our hobby we alone have the capabilities to provide communications across the street or around the world with many different modes. No other volunteer groups can do quite what we can do, we are a needed asset to our fellow man in times of need. Being an ARES member does not require a lot of time or fancy stations, it just means that you will be willing to be properly trained and willing to work shifts during an incident. The more willing and available ARES operators means a lighter load on everyone. Please consider this and contact Dale if you can commit to this crucial part of Amateur Radio. I received a call from Pam Deditch at 4pm Sunday the 12th to give me a heads up re evacuation, so I called some people to put them on standby and started to load up the car. Twenty minutes later we were called out. I was told to go to the Chico fair grounds. Went in the main gate and almost got waylaid by one of people directing traffic when I told him I was ECOMM but finally got to building A. Talked to Pam and asked where to set up. Started monitoring the search & rescue frequency and GEARS frequency. When Ted got in asked him to monitor the WD6AXM repeater which is one of the Red Cross designated repeaters. It turned out to be the one with all the information on it. We also found the frequency that the dam operators where using and monitored it. The first 48 hours were where most of the information was passed, after that (thankfully) it was a very boring time for the next seven days. I emailed Greg Kruckewitt every day updating him on our status and he was updating us with information on people willing to help with gear or manpower. We learned a lot on this event about what gear to use, what frequency to use, how to use them and manage time so as not to burn every one out. Being deployed for a week is a long time. People can get burned out very easily. With the help of Ted Cochran-N6TBC, Daniel Shelsta-N6APX, Robert Rentz KK6WUG, Doug Poppelreiter KD6LOK, Carl Franke-KI6CIU, and Gene Wright WA6ZRT we got the job done. With all that transpired I probably forgot someone or something, if so, my apologies. A heartfelt thank you to all who helped! February was another good month for us. We had about 25 Hams show up for our meeting. Greg Kruckewitt, KG6SJT, spoke to us about PACKET and its many uses in Emergency Communications as well as just a fun medium. Following Greg’s presentation, Dwane, KG6KPW, and Paul, N6DRY demonstrated the use of Outpost Manager and RMS WinLink in a number of situations. We had two projectors set up so that the attendees could see what was happening at the “send” and the “receive” screens. We are looking forward to hosting Phil Sittner, KD6RM, when he talks to us about antennas. We meet at 7:00 pm on the 2nd Saturday of each month at the Sheriff Center located at 7000 65th Street, just off Florin Road. Everyone is invited to join us! Check us out by going to www.egfarc.org, and there you will find directions to our meeting location. Come see what we are about! The monthly meeting of OARS (http://w6af.org) will take place this Friday, 10 March 2017, 7 pm, at St. Paul’s Parish Hall, 1430 Pine Street in Oroville. The doors will open at 6 pm for a social hour prior to the meeting. The program, to be presented by Past President Joe, WA6CAL, is called, “Introducing Evernote: a program which makes it easy to scan documents and notes to a cloud based searchable database.” Hope all can attend. Our meeting is Wednesday, March 8th. Lunch (or breakfast) is at eleven. Denny's serves breakfast all day. As usual, the group will be called to order at Noon in the meeting room. The program for this month will be TXFactor, Episode 14, a continuation of the series on how space weather affects our ability to communicate on the HF bands. Bob parts with some cash at Hamfest and Mike chats to Phil Willis M0PHI and Cathy Clark G1GQJ, two movers and shakers in the world of amateur radio propagation. Meeting as usual at: Denny's Restaurant, 7900 College Town Drive, Sacramento. Phone (916) 383-7071, Located at the southwest corner of Howe Ave. and College Town Drive one block North of Highway 50. Please come and enjoy the good food and fellowship. The next meeting for The North Hills Radio Club will take place on Tuesday evening, March 21, 2017. At this month's meeting: The many uses of the cross-band repeat function! The program will be presented by Kim Scheidel, KE6RKX. Kim is a past president of the NHRC and, for a long time, was involved in our annual hamfest. Kim will talk about the many uses of the cross-band repeat function, found in some ham transceivers. Club meetings are always held on the third Tuesday of every month, at the former (SMUD) building located at 5026 Don Julio Blvd, at the northeast corner of Don Julio and Elkhorn Blvds. The board meeting begins at 6:00 P.M., followed by the general membership meeting at 7:30 P.M. Thanks to Phil Sittner (KD6RM) and helpers for an inspiring February meeting, testing our hand held radios to be in FCC compliance. Phil noted that there were more radios tested than there were sign-in on the club's attendance roster. It helps in our standing with the ARRL to know how many attend our club meetings. So, please sign in and be counted. I understand that Phil will be handing out prizes for the best compliant radios so if your hand held unit was in the top, you might want to bring it along and both of you take a bow at the March meeting. For the March General Meeting, we have Norm Lucas (WB6RVR), the Section Official Observer Coordinator, as our guest speaker, to update us on and about Official Observer/Amateur Auxiliary program. If you have questions, this is a convenient time to get them answered. Although it's 4 months away, Field Day will be here before we know it. This year we will not have Andy (W6AWS), our key coordinator, as his work will require him to be out of town. Phil Sitter and I are going to try and fill Andy's shoes but we will definitely need lots of help from the club to match what Andy and team have done in past field days. Field Day is the last weekend in June, June 24-25 this year, so if you are going to be in town, please help and attend this event. Although I offered tutoring for 2 members of the club for the General Class license, no one took me up on the offer. Carol (KP4MD) has brought to my attention that the Sacramento Sheriff's Amateur Radio Program will offer an eight session class for the General class license from April 3 through April 28. There are a number of Technician class license holders in the club, so here is another opportunity to upgrade. If interested, see http://sacsharp.org/ham-classes. To Max and Bobby, the offer still stands for help in April, just contact me (wa6qyo@arrl.net) or see me at the meeting. Looking ahead, the April's meeting will be on "Winter Field Day" and the club picnic. More on these items in next months newsletter. See you at the General Meeting, March 7th. Since the club is still without an official Secretary, the following is an entirely unofficial account of the events of February’s meeting. Which is OK, because, to the knowledge of your intrepid reporter, no official business occurred at that meeting. Hopefully we will have an officially elected Secretary soon. Ken, official keeper of Shaggy Dog stories, announced that he has now been in the club for 30 years. He was originally licensed in April of 1942, just in time to get shut down in amateur operations for WWII. The attendance at the February meeting was at least 48 by the potentially erroneous count of your newsletter editor, including 6 prospective licensees. The room was able to contain us, but only barely so. Following the WINLINK presentation, we had very informative presentations on Go-packs, that is, portable station setups that allow easy operation in the event of emergencies or other conditions where a normal base station or mobile station will not serve. He clearly demonstrated the maxim of getting out and doing portable operations to know what you need to know before the time comes that you're forced into that position by circumstances. Scheduled Speaker and Topic: Michael Buck and Jerry Haar will do a demonstration on the Kenwood TS-2000 and Sky Command II. This allows anyone with a 2M HT to get on an HF radio remotely. You could take part in Field Day QSO right from your home! Join us to see how its done! Club Meeting Location: WPARC conducts board and member meetings on third Tuesdays of each month. Members and guests with business to bring before the board are welcome to attend board meetings. Join us at Legends at Woodcreek Oaks Golf Club, 5880 Woodcreek Oaks Blvd., Roseville. Roger K6OU announced that the Tour de Lincoln date is now set for May 6. Clear your calendar now and plan to help out at this annual event working as a SAG wagon on the course or operating from a fixed rest stop location. Many hands make for light work and shorter shifts. Sign up at a club meeting or other club activity. Katy KJ6YCP announced that our WPARC 2017 Hamfest date will be Saturday, Sep 16. Start setting your ham radio treasures aside for the next owner, and plan to attend this annual event. Be thinking about volunteering a few hours to make this year another success! 2017 WPARC Dues are Due. WPARC Member Dues are due in January of each year. Dues remain the same as previous years: $24 individual, $36 family, and $12 active military and under age 18. Bring your check to a club meeting or mail to POB 1173, Lincoln CA 95648. We now have a test Wires X node set up for club members to try. For those unfamiliar with Wires X, it is similar to Echolink or Allstar. The node is located at Art’s QTH for the test and is on 145.700. The system consists of a Yaesu FTM-400 DR dual band (2 meters/70 cm) and a Yaesu Wires X box. If the tests are successful (which they appear to be to date) we will link the node with the repeater. This is a significant benefit to the club and greatly increases the versitility and reach of the repeater. Anyone with a System Fusion radio can join in. The Monday 8:30 PM 2 meter System Fusion net is growing rapidly. A number of club members have obtained a Yaesu model that offers System Fusion, from HTs to mobiles, to base stations. Of course, the System Fusion radios will also work on standard analog modes. Several people have new radios on order and we should see the net grow even more in the near future. In addition to many club members, we are hearing many visitors from a wide area on the repeater for this net. Also, the Thursday 2 meter and HF nets are growing. Monday Jan 2nd had the largest number of HF check ins ever. We also have recently heard check ins on the repeater from areas as far away as Dixon, Woodland, and Davis. Placerville, CA January 20th, 2017 – The El Dorado County Amateur Radio Club will operate Special Event Station, AG6AU, from the Marshall Gold Discovery State Historic Park on January 28th and 29th from 0900 to 1700 Pacific Time. This Special Event Station, showcasing the El Dorado County Amateur Radio Emergency Service communications trailer, will be communicating with other hams in North America and from the world. We will be using the ARES trailer for our station and will be located in a parking lot near the saw mill. We will operate near the following frequencies 28.348 MHz, 21.348 MHz, 14.248 MHz and 7.248 MHz on SSB Phone. You are encouraged to come and see the operation or operate for a while if you wish. If you would like more information please contact Jay Harmor – KE6GLA at jharmor@comcast.net. The Special Event call sign, AG6AU, was issued by the Federal Communications Commission. The call letters represent gold (AU) and Silver (AG). The public is most cordially invited to come, meet and talk with the hams. The station will be on-the-air during the Park’s normal hours of operation. See what modern Amateur Radio can do. They can even help you get on the air! To learn more about Amateur Radio, go to http://www.arrl.org/emergency-radio-org. To learn more about the El Dorado County Amateur Radio Club, go to www.edcarc.net. The W6SFM Samuel F Morse Radio Club February meeting was called to order by club President Mike, N6MQL with 13 members and 1 guest in attendance. W6SFM would like to welcome our two newest members, Wally, W6PPP from Sacramento, CA and Paul N6EV from El Camino Village, CA. In an effort to keep all of the clubs members and guests who were either unavailable or out of state / city closely involved, The SFM ARC now provides a LIVE FEED via our on-line LiveStream video services. This live feed can be found on the W6SFM.com homepage by clicking on the Live Feed! link at the top of our page. The SFM ARC CW (Morse Code) Beginners Class will begin April 5th The class will be held each Wednesday evening from 7PM until 9PM. The course lasts for 10 consecutive weeks culminating 2 weeks before the ARRL’s Field Day event. This done to allow students attending the class to transition easily into their first CW event should they choose to. Class instruction includes a complete understanding of the Morse Code, Pro-Signs, on-air operations and how to Send properly using a Straight key. Students are provided with a key and oscillator built by the club members. At the conclusion of the course students are able to keep those instruments as part of their course fee. If you or someone you know is interested to take our course, please be sure to contact the club with that information. You do NOT need to be a licensed amateur radio operator to take our class. At our last in-person meeting Vs. Pres. John, WB6UBK announced that the club will begin restructuring our in-person meetings to provide more presentation content. Beginning with the February meeting John presented 2 projects to the members. The first was for a QRPKITS.COM “Easy TR (Transmit/Receive) Switch”. As shown, the electronic switch schematic indicated that there were 2 ways to switch the internal relay to protect your receiver, or other equipment from Transmission RF. The first by manual switch, and the other by RF energy. Please visit qrpkits.com for more information. For John’s other presentation he discussed with the group a QST article that gave detailed instructions on how to Construct & “Tune” a resonant speaker for use with CW. The example given was for a 700Hz resonant speaker. This speaker can be used to increase the audio level and clarity of the CW signal being listened to. This year the NA QSP held its annual NAQP event on the 14th of January. Vs. Pres. John, WB6UBK volunteered his home QTH for the event. The club worked the bands from 10 AM until 10 PM. With 8 members in attendance at this year’s event everyone had a chance to either get on the air, or enjoy sitting alongside an operator and perform logging duties. All in all, the club was able to score a respectable 218 contacts! For the first time the W6SFM station was able to get on the air with the 160-meter band. A total of 17 contact were made on 160-meters. The club then provided a Pizza lunch and Hamburger and Hotdog BBQ dinner served with all the fixins. For our "Show And Tell", member Mike, K6LQ brought with him a piece of his display he recently used at the Gold River Eskaton retirement community. Mike explained to the group that he uses this display along with some antique gear & keys to explain Radio to the public. A very interesting find from Member Norm, WB6RVR was displayed to the club. Norm explained that he received the following Circa 1918 Semaphore Flags and accompanying Canvas carry bag gifted to him from one of his friends. Our next SFM ARC in-person meeting will be held at its normal time and location March. 2nd (followed by our April. 6th meeting). The SFM ARC in-person meeting will be held in the Howard Crowley room upstairs at the Carmichael Presbyterian Church. More information including a Google Map is available on the homepage of our website. At our March meeting, we will be discussing the annual W6SFM Bogus Story Contest. We will also have a presentation on the various models of RigExpert Antenna Analyzers and their use. As always, we will have our Tech (show and tell) portion where members and visitors are asked to share their Ham Radio related items they find of interest. Feel free to visit our In-Person meeting with items that you purchased or were given that you would like to share with the group. Visitors are always welcome to join us at our meetings. Do you know someone in need of a Ham Club to call home? Perhaps someone that wants to learn Morse Code, are interested in CW or already knows and uses it? The SFM ARC would love to be their new Club home. Our in-person meetings are held each 1st Thursday of the month at 7PM. Please use the rear parking lot and entry for best access to the meeting. A map and directions can also be found on our website. We hope to see you at our next meeting! Our Assistant Section Manager, Les Cobb, W6TEE, is interviewed in this vintage movie clip posted by George Mihal of the Office of Image Archaeology. Caption: "The local HAM radio club, the Rams takes a reporter out on a hidden transmitter hunt in 1965. They look up and down Eastern Ave and finally find their quarry at La Riviera under the Watt Ave over crossing. Bob King and George Mireman, (not sure of the spelling) are hunting Les Todd W6TEE." Les Cobb W6TEE adds: The hams in the car were Bob King, WA6UNL, and George Merryman, W6CXD (driver). Not said, but this was during the 1964 ARRL Pacific Division Convention at the now defunct Hotel El Dorado here in Sacramento. The photo below from the 1964 ARRL Pacific Convention appeared in the September 1964 issue of QST.